Will the last Parsi to die please blow out the sacred fire? Our ancestors, Persia’s first-born, preserved their ancient faith in the underground warrens of Yazd. 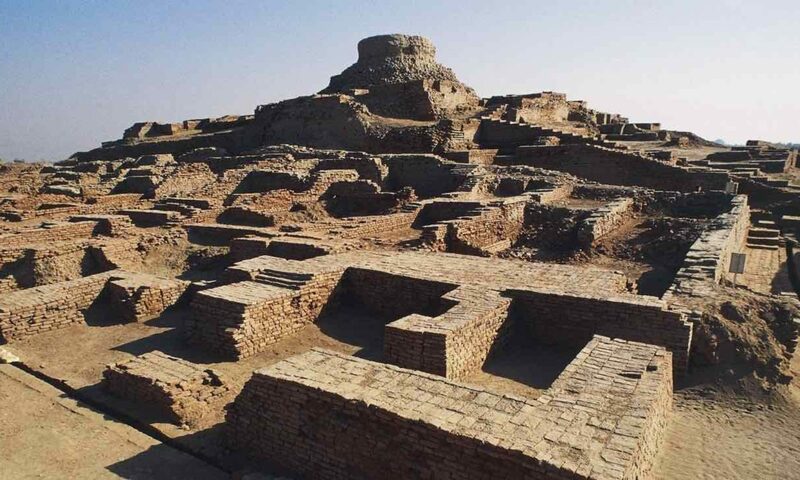 Zarthushti houses had to be on a lower level to Muslim homes so that if it rained the water of infidels couldn’t contaminate that of the believers. It is only fair that for the sake of those ancestors who have sacrificed so much that at least some of their descendants should go on to light the sacred fire for the generations to come. 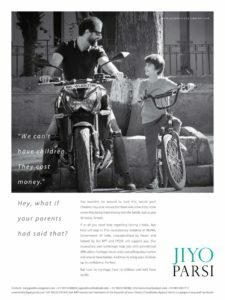 Imagine a khap panchayat in rural Haryana – a kangaroo court of village elders – launching a slick ad campaign encouraging members of their caste to marry (each other) and rapidly multiply to increase their dwindling numbers. Anahita Mukherji is a US-based journalist who has a quarter-Parsi son with a full-Parsi name. The author’s father is a Bengali Brahmin and she herself married out of the Parsi caste. Anahita’s only sop to her mother’s identity is to give her son a Parsi name. Now she’s the designated American voice of the (liberal) pushback against those Indian Parsis who understandably want to preserve Zoroaster’s bloodline for posterity. If the Parsi community were to follow Anahita’s personal example; they’d be extinct in a generation. She has every right to lead her life as she sees fit but it is unacceptable to hector others to follow her PC non-solutions. When it comes to the Parsi community there are simply no lemmings left to fall of the cliff. Maybe these partial Parsis should branch off and create a community thats more tolerant of miscegenation. If the faith and philosophy are matters of special attachment, they should be able to carry that forward. No need to plead with the purebreds to be included. Yes but remember in the Indian/Desi context there is a huge premium to being a Parsi. Maybe that’s why the Baha’i faith was able to attract so many Iranis; the focus on exclusiveness seems moribund. The commercial activity they are involved in is hugely disproportionate to their size. They also stand out for their high standards of ethics and corporate governance and their commitment to philanthropy. This is true; proud to be Pars (my grandmother is Irani while my grandpa is from Fars). Are u a follower of Zoroaster?. If so do tell fellow Zoroastrians to stop advising and criticizing hindutva folks. Have no interest in losing our civilization & follow them into the void of nothingness.thank you. My ancestors were and I guess I am since I’m a member of the Baha’i faith & we believe in progressive manifestation. One thing I’ve noticed is young Parsis tend to be extremely politically correct, moreso than even westerners, which is strange given the sort of society they live in (India). Has their wealth coddled them from reality? There’s a stereotype Parsis are light-hearted and don’t take themselves too seriously, but all I’ve seen from them is that everything offends them. This is a community that has lost its will to survive, and in my opinion their society is sick. They have a fertility rate of 0.8 children per woman, and something like 40% of Parsis never marry. I know some individuals just don’t want children or to get married (and that’s fine), but for it to basically be the norm probably reveals a sickness within their culture and mindset. It’s a shame because India and the world could do with more Parsis. There are so many positive attributes about them, so it’s a shame they’ve reached that suicidal stage where they’ve lost all will to continue as a people. It’s interesting that I’ve seen the same birth collapse among Zoro Bahá’ís; when the will to procreate is lost, its symptomatic of something deeper I imagine. Also Parsi privilege in India is nothing like it; sometimes even more intense than white privilege in the West! Zoro Bahais, as in Parsis that became Baha’i, or Iranian Zoroastrians that became Baha’i? I wonder if there’s something biological that prevents Parsis from having children, or causes them to be more reserved from getting married/having kids. The Iranian Zoroastrian population is so small there’s not much commentary or knowledge about them, but I don’t think Iranian Zoroastrians have this reputation of basically being asexual and being offended by everything (like Parsis). Even elderly Parsis have very often never married. So many interviews of Parsis (both famous Parsis and non-famous Parsis, both poor and rich) reveal a large number of them even over 80 years old have never married. Bizarre. Irani (Yazdi’s Zoros) became Bahá’ís in huge droves in the last century. I have seen this phenomenon of “ultra-reservedness” among the Irani community; I’m surprised to see it in the Parsi community too (I don’t really know much about them since Iranis & Parsis are two very different community). 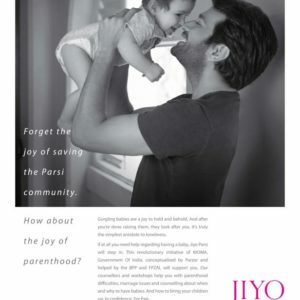 Zach, much as I admire the Parsi community in India, I agree with Anahita M. that the Jiyo Parsi campaign slogans and imagery are a bit pathetic as also quite offensive. I don’t know why I am not moved to tears if people disappear due to cultural attrition (and not by violence or other calamities). 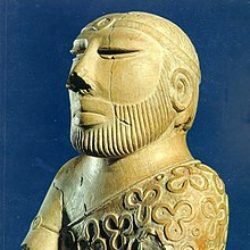 It was their choice to set themselves apart from the main population of the Indian subcontinent. They created the exclusionary laws that contributed to their dwindling numbers. Now they want the women to start dropping babies in order to keep the sacred fire burning. To object to that is not PC. And what survival? Parsis (better known at the time as Zoroastrians) first began to disappear much before their young were shirking marriage and their women failed to procreate. Their disappearance began many centuries ago. Think back to what happened to Zoro-Persians around 651. Are you still shedding tears for that? Yes of course the fall of Iran to the Arabs was a disaster (this is when I put my Persian hat on lol).. Previous PostPrevious Indian History Wars..